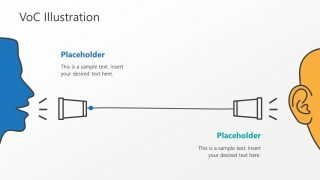 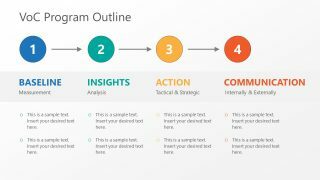 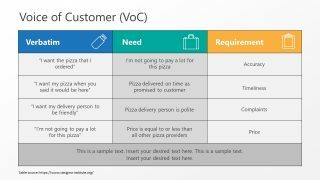 The Voice of Customer PowerPoint Template is a slide deck with set of diagram and models for VOC concepts. 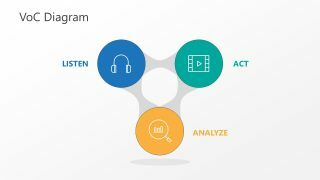 These visual diagrams include chevron process flow, circular design, timeline, and data tables. 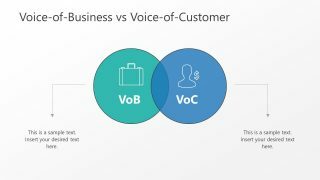 Because each diagram presents different business models for voice of customer concepts. 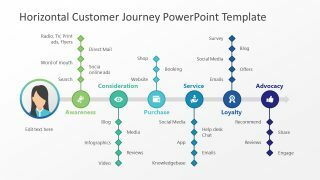 It is an ideal presentation tool for sales and marketing professionals. 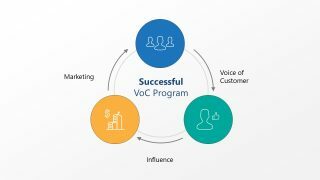 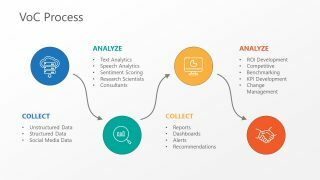 Since the VOC market research technique to acquire unstated customer requirements. 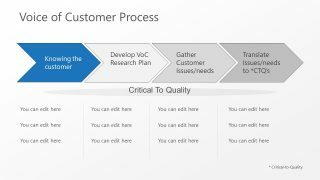 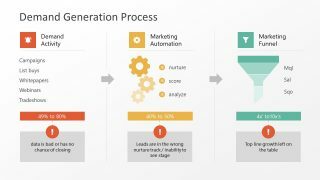 The process models will help change the preferences of clients and sellers. 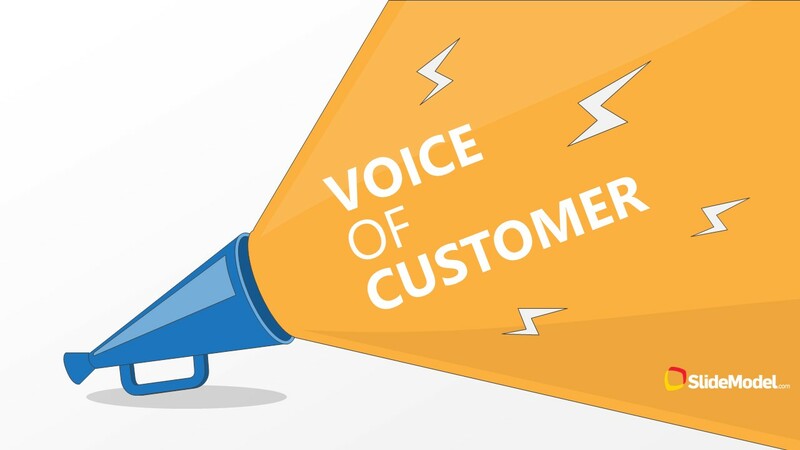 In short, the voice of customer is a feedback mechanism which assists businesses and individuals to improve their product or services. 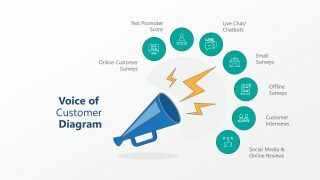 Segmented VoC channels – Megaphone clipart with seven infographic units around it. 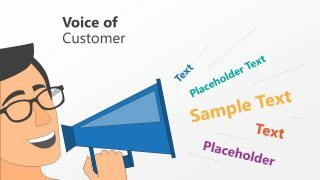 This Voice of Customer template for PowerPoint contains visually appealing shapes and icons to represent different terms of customer experience and support. 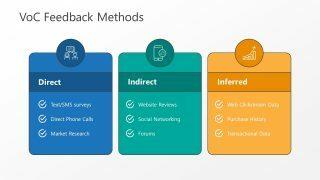 Businesses use different techniques to capture customer feedback nowadays. 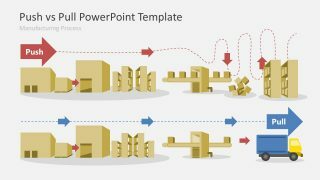 And this slide deck will assist professionals to choose a desired layout for outstanding presentation delivery. 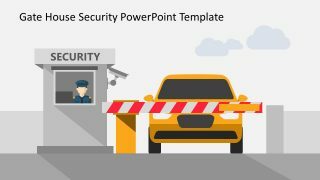 The editable PowerPoint objects enable users to personalize presentation content according to business requirement.